Each thick, pre-moistened wipe kills 99.9% of viruses and bacteria on hard nonporous surfaces when used as directed. 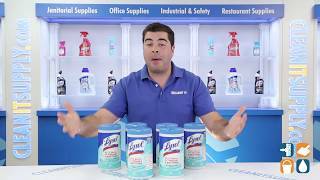 Lysol Disinfecting Wipes are ideal for cleaning, disinfecting and deodorizing kitchen counters, appliances, stove tops, cabinets, floors, garbage cans, toilet exteriors, bathtubs and sinks. Great for any location that wants to keeps gems in check, whether it's a residential home or business. Includes 6 canisters of 80 wipes each so you have enough to keep them in several locations. 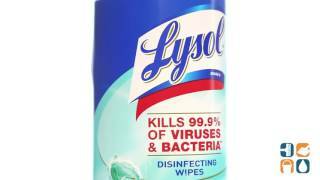 Order Lysol Disinfectant Wipes today and save. Buy in bulk quantities and save even more!